United Utilities: Amazing Apprenticeships – The future is you! 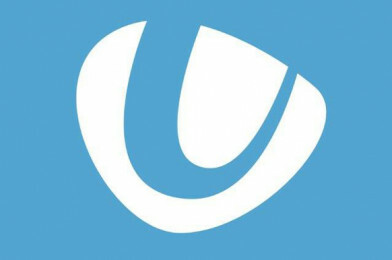 We’d like to take the opportunity to spotlight our friends at United Utilities. Along with being one of the UK’s largest water companies, they are dedicated to promoting STEM, have partnered with us on numerous events including Engineering Your Future & The Big Bang North West AND have so many STEM-sational apprenticeship opportunities right now! United Utilities are one of the UK’s largest water and wastewater companies supplying seven million people in the North West of England with their drinking water. They service around three million homes and 200,000 businesses in the region covering Cumbria, Lancashire, Greater Manchester, Merseyside, and parts of Cheshire and Derbyshire. At The Big Bang North West, United Utilities were a huge hit with all of our visitors! 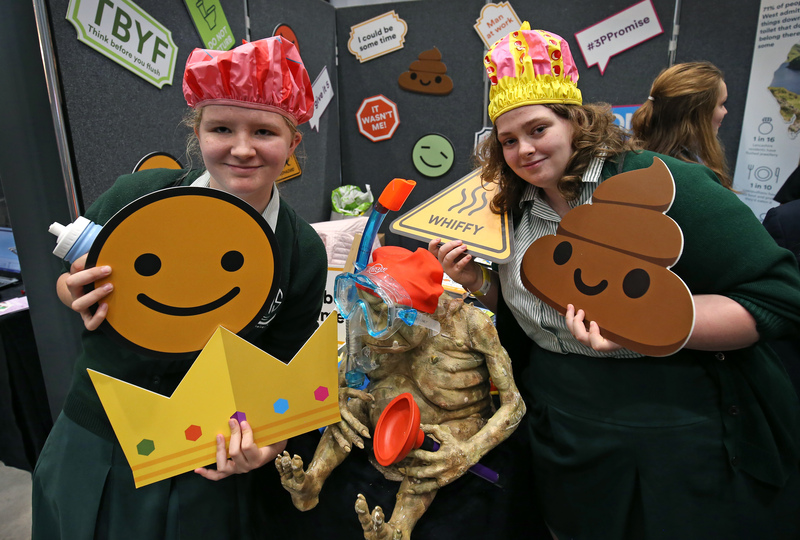 As well as some surprising stories, they brought the waste element of their business to life with their fun and interactive ‘What not to Flush’ activity. Their Apprentices were also on hand to introduce visitors to ‘The 3 P’s’ and they even offered a STEM speed dating activity! 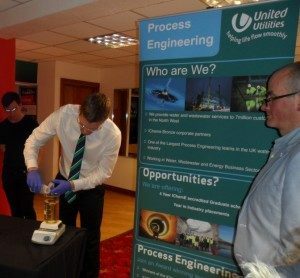 At Engineering Your Future, United Utilities provided hands-on experiments for our 6th form students. Groups had the opportunity to learn about water cycles and there was a presentation on how engineering is used to treat rainfall, clean our water and recycle it. There was also chance to discuss the numerous career opportunities and apprenticeships within the company. Apprenticeships: The future is you! United Utilities are looking for the next generation of talent to join their apprenticeship scheme. They have plenty of opportunities to choose from, so whether you love mixing up a storm in the labs, could spend all day playing about with your computer, or just fancy learning a new skill – they could have an apprenticeship that’s right for you! United Utilities have won awards for their apprenticeship schemes, so you can be sure that you’re starting off in the best hands for a great career. They’ve been named as one of the top 100 apprenticeship employers, scooped the Macro employer of the year award at the National Apprenticeship Awards 2015, and have been shortlisted in Bloomberg’s best 50 employers of 2016. United Utilities are a water and wastewater company, based in the North West of England. If you’ve ever made a brew, or been to the loo, then they’ve probably played a part in that. They serve seven million customers across the North West, which means they cover a lot of ground. So, whether you love the great outdoors, or the hustle and bustle of city life, you’re bound to find something that’s perfect for you.